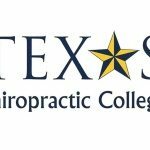 The Texas Chiropractic College (TCC) Board of Regents honored Armando Baños-Alvarez, DC, MD, with the William D. Harper Science of Existence Achievement Award, the school’s highest accolade. Baños-Alvarez, a 1994 alumnus of TCC, received the award during a surprise announcement at TCC’s annual convention and homecoming last month in Galveston, Texas. 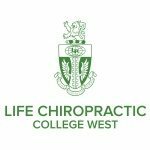 An advocate of chiropractic in his native Mexico, Baños-Alvarez began work twenty years ago towards opening a chiropractic school at his alma mater, Universidad Autónoma del Estado de Hidalgo (the Autonomous University of Hidalgo State). In 1997, he worked with Shelby Elliott, DC, TCC’s president, to formulate an agenda for bringing chiropractic to Universidad Simón Bolívar in Venezuela. On August 4, 2014, Baños-Alvarez welcomed the 120 students chosen to work toward graduating as surgeons with emphasis on chiropractic at Universidad Politécnica de Pachuca (Polytechnic University of Pachuca). These students will be the first in Mexico and the world to receive such a degree when they graduate in 2020. Before studying at TCC, Baños-Alvarez received his doctor of medicine degree from Universidad Autónoma del Estado de Hidalgo (the Autonomous University of Hidalgo State) and a Bachelor of Science degree in communication from Universidad Anáhuac México Norte (Anahuac University). Baños-Alvarez received his doctor of chiropractic degree from TCC in 1994. He previously served as a professor at TCC and member of the Board of Regents. While at TCC, he taught courses on pediatrics, geriatics, physical examination, and internal medicine. The award is named for William D. Harper, DC, president of TCC from 1965 to 1976, the College’s first 11 years in Pasadena after moving from San Antonio. A native of Texas who grew up in various locales in the Lone Star State, in Mexico and in the Boston area, he earned bachelor’s and master’s degree in engineering in 1933 and 1934 from the Massachusetts Institute of Technology (MIT), and his chiropractic degree at TCC in 1942. Prior to being named president, Harper was a member of the TCC faculty for 15 years.